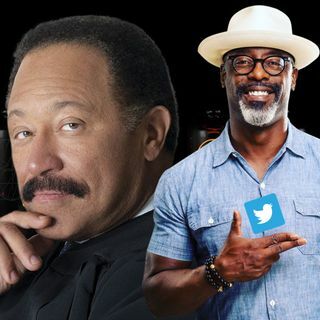 Judge Joe Brown and Isaiah Washington Explain Steve Harvey, Jussie Smollett, Etc. Isaiah Washington IV is an ... See More American actor. Washington has appeared in Spike Lee film's Crooklyn, Clockers, Girl 6 and Get on the Bus. Washington is also known for his role as Dr. Preston Burke on the ABC medical drama television series Grey's Anatomy. Monique Angela Hicks known professionally as Mo'Nique, is an American comedian and actress. She first gained fame as a member of the Queens Of Comedy, as well as her role as Nicole "Nikki" Parker in the UPN series The Parkers while making a name as a stand-up comedian hosting a variety of venues, including Showtime at the Apollo. Mo'Nique transitioned to film with roles in such films as Phat Girlz and Welcome Home Roscoe Jenkins. She, along with several other female comedians, earned a Grammy Award nomination for Best Comedy Album. She also received critical praise for her role as Mary Lee Johnston in the film Precious and won numerous awards, including the Academy Award for Best Supporting Actress.